When Ellen Johnson-Sirleaf first took power after a 2005 post-war elections, she called on Liberian professionals living abroad to return home and help with the building of the war torn nation. Many Diaspora Liberians responded to Sirleaf’s call immediately with some even sending in credentials but never got feedback. Despite the disappointment, scores of professional Liberians continue to return home every year to stay prominently, with most working in fields such as business, health, education, administration and relief-aid. Among the latest returnees is Mr. Tamba Aghailas, a son of Lofa County. The Liberian civil war (1989 – 2003) affected every sector and aspect of our nation. One of the lingering effects is the brain drain or human capital flight it occasioned. Thousands of Liberians fled home to seek refuge in various parts of the world. Unsurprisingly, this created a vacuum in Liberia’s labor force. This vacuum gave rise to an influx of expatriates, mainly from English speaking West African countries, to fill the human resource gap in various sectors of the economy. To counter this trend, the Liberian government and citizens have started urging the return of Liberians in the Diaspora who have acquired the requisite education and skills and are willing to contribute to the reconstruction efforts in Liberia. However, many Liberians find this to be a hard choice as the decision to return often means abandoning relatively more financially lucrative and stable careers in the West. As a result, they are often unwilling to relocate permanently. While some Liberians return home to seek appointments in government or elected seats, their migration is only temporary as they return abroad as soon as they lose those jobs or elected seats. Nonetheless, some exceptionally patriotic and dutiful Liberians do exist. They are the ones who make the whole-hearted choice to abandon their comfort-zones in the West and commit to a life of service at home for the love of their country and people. According to Mr. Aghailas, he is coming home to contribute towards reconstruction and to pass on and share the skills and experience he has acquired over the years with the future leaders of Liberia – the youth. At his core, he is a human rights advocate, one of those who have chosen to lend their voices to the voiceless people of Liberia. 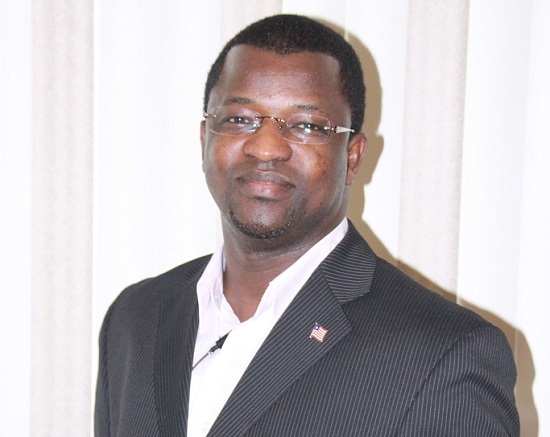 He is the Founder and Director of The Voice of Liberia, an online publication, where he has written extensively on human right issues. Mr. Aghailas holds a Masters Degree in Public Administration from Baruch College, the City University of New York, a Bachelor Degree in Business and an Associate of Science Degree from Berkeley College. This noble son of Liberia is indeed a trailblazer. His sacrifice sets an example for the countless skilled Liberians who live in the Diaspora, who have yet to follow in his footsteps. Their talent, skills and resources have the potential to unlock and accelerate the creation of a strong and viable middle class in post-conflict Liberia. Mr. Aghailas currently resides in New York City with his family and works as a Human Resource professional with an international nonprofit organization. Mr. Aghailas will bring with him extensive human resource and life experiences from which his fellow Liberians will benefit.